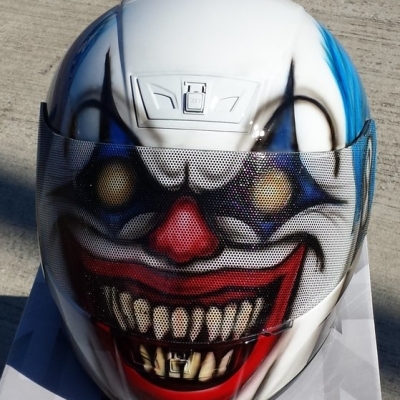 Watch heads turns, with this unique custom airbrush painted Creepy Clown full face motorcycle helmet and SEE THROUGH visor! 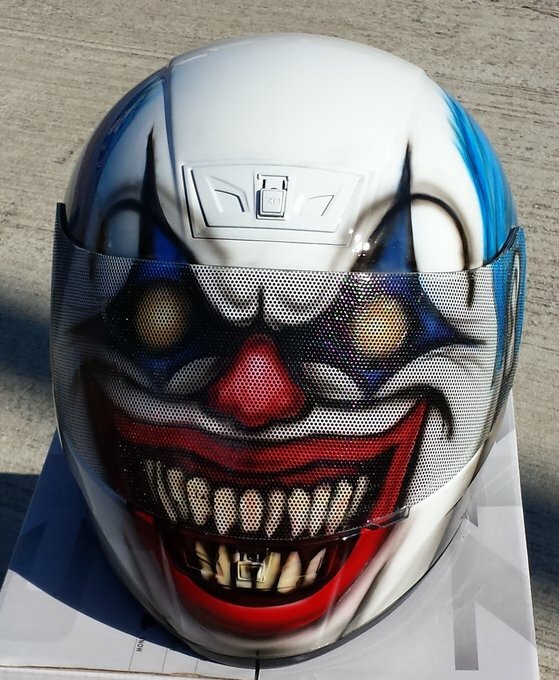 The helmet will be a new unworn DOT approved HJC CS-R2. 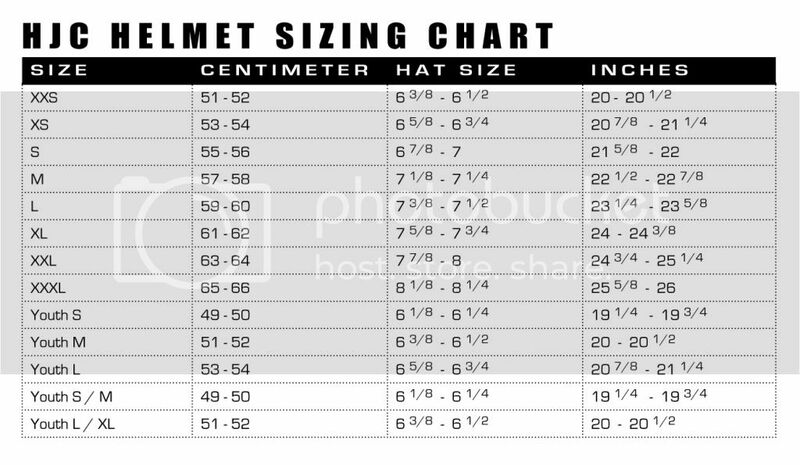 Refer to the sizing chart provided and just choose your size. 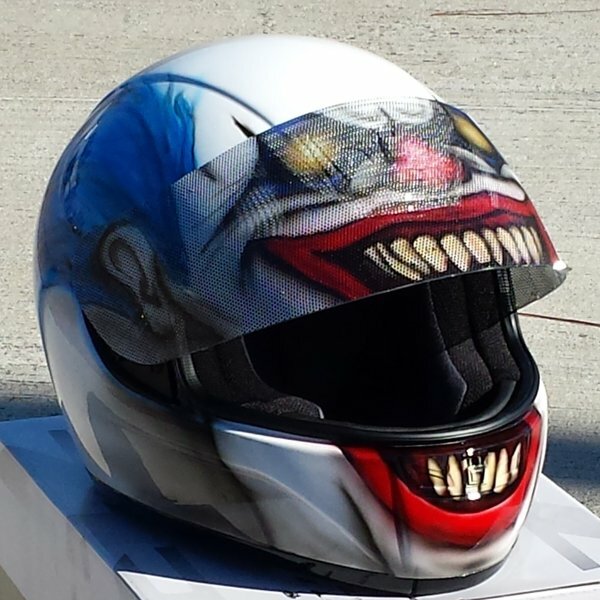 Premium automotive paint is used on all helmets. Every helmet is handmade airbrush painted, sealed with high build premium urethane clearcoat. The helmet remains fully functional and visibility is compared to a tinted shield, not recommended for night or rain riding.